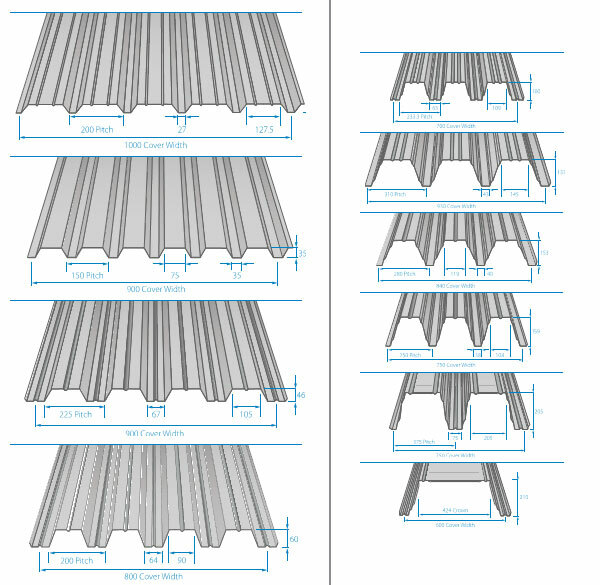 Structural Roof Decking range from 30mm deep profiles right up to 210mm deep. Structural roof decking has great spanning capabilities which negates the need for additional steel or purlins. These decks are generally installed direct to the steelwork / Purlins to create a solid base for a roof. Typically, they are used for additional roof systems to be installed on top such as Single Ply Membranes, Standing Seam Systems and Green Roofs.